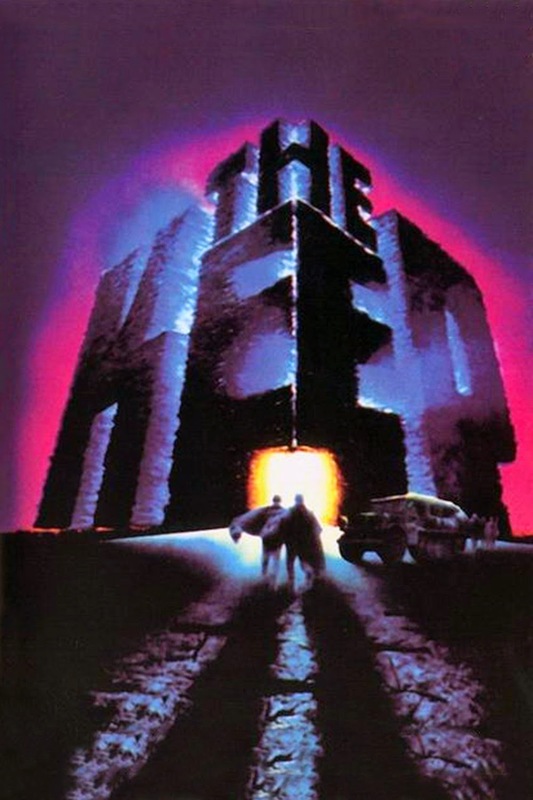 F. Paul Wilson, the author of the novel from which Michael Mann's The Keep (1983) was adapted, has said that the film is "visually intriguing, but otherwise utterly incomprehensible." Normally I believe there's little value in asking authors what they think about movies which their books inspired (Stephen King famously criticized Kubrick's The Shining, later going on to make his own far inferior adaptation), but in this case Wilson is absolutely right. Whatever other beauty The Keep might contain—and I happen to think there's quite a lot—at the narrative level it makes very little sense. But that's not as important as you might think. The film was originally over three hours long, and Paramount cut almost two hours from its runtime for its theatrical release. The resulting patchwork rollercoaster wobbles back and forth between characters and subplots, leaving little for the audience to hold on to as it rushes through 3+ hours of content in 90 minutes. We're given clues which point to character development mysteriously murdered by the studio's cuts, but these are cases that look like they will never be solved. Mann has since disavowed the tattered remains the studio left him, and whether or not his original version was more coherent, it's impossible to deny that what we're left with offers very little in the way of traditional story structure. But why should that mean this admittedly flawed film is without merit? Blade Runner is a classic example of a film which essentially doesn't work at a narrative level, but which makes up for this incoherence by breaking new ground in terms of visual, thematic, and atmospheric storytelling. And while I don't think The Keep comes even close to the level of mastery Blade Runner achieves, I do think it ought to be evaluated in a similar way. The opening of The Keep absolutely blew me away. I thought I had found a film which was not only a few best for Michael Mann, but one to add to my all-time personal favorites. The focused, precise photography combines with Tangerine Dream's ominously moody soundscape and the veiled threat of the fog-infused set design to create some of the most powerful atmosphere the horror genre can muster. Sure, the film takes a sharp downhill turn once the story cuts away from the centerpiece and dances around trying to juggle more characters than any 90-minute film can handle, but this uncompromising atmosphere is always there. The Keep also manages to function on a thematic level despite its severe cuts. Any student of psychoanalysis will find plenty of food for thought scattered throughout the debris left by Paramount's editing team. The misty Molasar represents the emergence of the Id against the moralism of the Superego (Freud) or the Real breaking through the cracks in the descriptive network of the Symbolic (Lacan). It is the return of the repressed for these irrepressible men. Michael Mann himself even describes the film as being inspired by the power of dreams and ideas about the unconscious; but whether you read the film this way or another, there is plenty of substance in spite of its diminished length. The film is definitely a mess made even more disappointing by its breathtaking opening, but it's not without significant redeeming qualities. It may be flawed, but for me it's still one of Mann's most interesting films. I give it a hearty recommendation to anyone willing to overlook its shortcomings, with the obvious but still necessary caveat that you can't watch it like any of the director's other films. If The Keep withstands critical analysis, it does so thanks to its exceptional atmosphere and symbolism, not because of its (un)compelling story or characters. It's a troubled installment in our cinematic history, but a nonetheless rewarding experience as far as I'm concerned.